TMC Home Loans offers 10, 15, 20, 25 and 30 year Conventional Loans. Conventional loans fit a wide variety of needs. A conventional loan can be used to purchase a primary residence, a second home or even investment property. Down payment depends primarily on the borrower’s credit scores and the occupancy of the home being purchased. TMC Home Loans offers 15 and 30 year fixed rate FHA Loans. The minimum down payment on FHA Loans is 3.5%. FHA Loans are for primary residences only. TMC Home Loans is proud to offer VA Loans for our veterans. We offer 30 year fixed rate VA loans. VA loans are still one of the few programs that don't require a down payment. You must have your VA certificate of eligibility. TMC Home Loans offers 30 year fixed rate USDA guaranteed loans. In a rural area the USDA home loan is an excellent choice for many home buyers. USDA is for primary residences only. USDA loans currently do not require any down payment. Pre Approvals are always FREE! 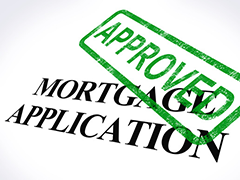 TMC Home Loans is Licensed to Originate Mortgages in Texas.